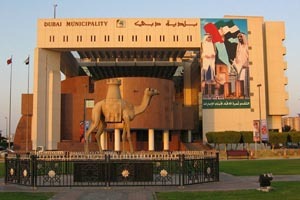 Dubai municipality carried out happiness inspections at about 900 outlets. This was done to make sure the food safety is being taken care of. Food outlets with low evaluation were not fined but instead technical support was extended to them. During the inspection about 50% of the outlets i.e. approximately 450, were evaluated and were told to raise their levels of hygiene and health to reach the high standards set by the Dubai muncipality. 228 of these outlets came up with improved ratings in further inspection after some time. "Dubai is a vibrant city and is a food oasis for tourists and residents, attracting more than 15 million visitors a year. This number is going to increase.,” said Sultan Ali Al Tahir, head of the food inspection section at Dubai Municipality. Dubai, a tourism hub and a food oasis attracts over 15 million visitors a year. This number is increasing exponentially because of the tourist attractions. This means and large number of people usually eat meals in cafes and restaurants. So, through this initiative, Dubai municipality wants to increase the food standards of eateries across Dubai. Since the initiative doesn’t involve penalties, they named it ‘Happiness inspection’. This initiative is expected to lead to the wholesome development of the food sector in Dubai.